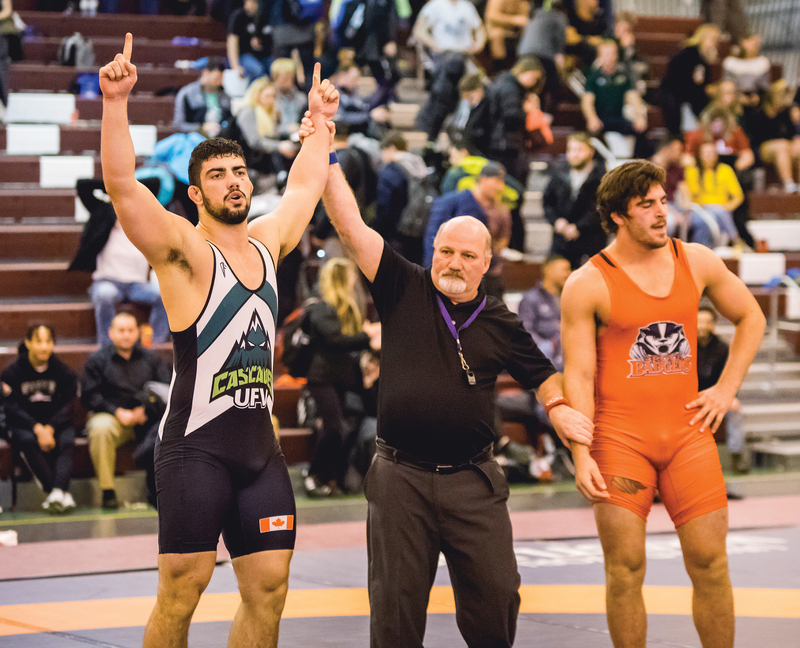 It was a program-record medal haul for the University of the Fraser Valley wrestlers on Saturday, as four Cascades climbed the podium at the U SPORTS championships in Sault Ste. Marie, Ont. Leading the gold rush were Parker McBride and Brad Hildenbrandt, who emerged as the winners in the lightest (54 kg, McBride) and heaviest (120 kg, Hildenbrandt) weight classes on the men’s side. McBride added another slice of Cascades history, as he was voted the men’s rookie of the year. He’s the first national rookie of the year award winner for UFV at the U SPORTS level. The Godinez Gonzalez sisters, Karla and Ana, won matching silver medals to bring the Cascades’ medal count to four – the first time they’ve won multiple medals at a U SPORTS wrestling championships. McBride got the Cascades’ momentum started – his 54 kg final was the first gold medal match of the day. 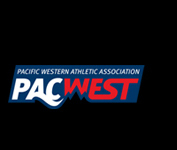 He was facing Jordan Wong of the Alberta Golden Bears, who had defeated him in three of four prior meetings this season, most recently at the Canada West championships. But McBride, a rookie from Duvall, Wash., was utterly dominant this time around, winning by technical superiority (10-0). “Parker had the potential to beat him (Wong) before, but today he was a different person,” Virdi marveled. “He came ready to wrestle, and it was awesome to see him come out on top. 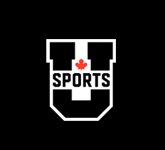 Hildenbrandt defended his 2017 U SPORTS heavyweight crown, but it wasn’t easy by any stretch. 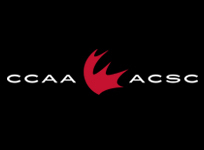 Facing Richard DesChatelets of the Brock Badgers, the third-year Cascade from Surrey, B.C. found himself down 4-0 early after DesChatelets caught him for a four-point throw. But Hildenbrandt clawed his way back into it – he closed the gap to 5-3 at the end of the first round, and surged ahead 7-5 before getting his opponent onto his back for the pin. The Godinez Gonzalez sisters, who also reside in Surrey, were both facing top-seeded veterans from Brock in Saturday’s finals. Karla, a sophomore who earned the Canada West female wrestler of the year award earlier this month, met fourth-year Badger Emily Schaefer in the 55 kg title match, and ended up dropping a hard-fought decision by a score of 3-1. Ana Godinez Gonzalez, the Canada West female rookie of the year, was up against Brock fifth-year Jessica Brouilllette in the 63 kg final. The veteran was able to deal Godinez Gonzalez her first defeat in Canada West or U SPORTS competition, prevailing 10-4. Ana Godinez Gonzalez takes her opponent to the mat. In other action, Jacob Torres narrowly missed the podium, falling 8-0 to Elvir Uzonovic of the Guelph Gryphons in the men’s 61 kg bronze medal match. Karan Dhillon was fifth in the men’s 72 kg – his opponent in the fifth-sixth placing match, Caleb Rutner of the Western Mustangs, had to forfeit due to injury. De’Andre Williams finished sixth in the men’s 76 kg after a loss to Aaron Orszak of the Concordia Stingers by technical superiority. Victories from Hildenbrandt and McBride moved the Cascades men up from sixth to fifth in the team standings with 32 points. 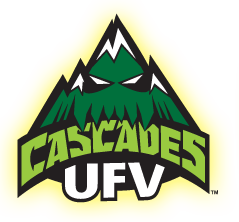 The Cascades women were ninth overall with 16 points.